More Affordable. More Flexible. More Magical. 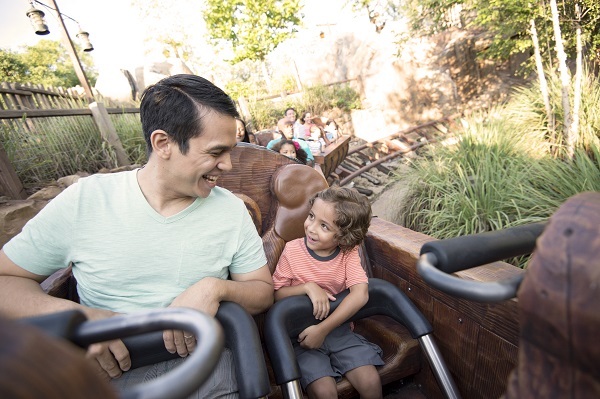 Explore the variety of packages and additional package options available for your Walt Disney World® vacation featuring Disney’s Vacation Packages. The Walt Disney World® vacation experience is more affordable, flexible and magical than ever. With new things to see and great Disney Resort benefits to enjoy, there’s never been a better time to visit. A Walt Disney World Package gives you plenty of options to see and do it all. So, kick back and relax. Take a snooze in your room or a dip in the pool. Dine with the characters, or enjoy signature dining. Experience thrilling attractions or mesmerizing shows. After all, it’s your vacation. You set the pace with a Walt Disney World vacation package. Choose the Disney Resort that fits your needs and your budget. Each resort offers plenty of benefits and plenty of magic. Disney Resort Hotel Packages also make the Theme Parks more affordable. The more days you add to your ticket, the less you pay per day. Save even more on meals at Disney restaurants, Dinner Shows and even Character Dining when you add on a Disney Dining Plan. Walt Disney World packages give you ultimate flexibility. Customize your vacation with Theme Park tickets that allow you to make every dream come true. Choose the length of ticket and the options to meet your needs. Add a Disney Dining Plan to open up a magical world of Disney Dining. Explore the Disney Resorts, theme park tickets, and Disney Dining Plan options and then let one of the destination specialists at The Magic for Less Travel help you book a Walt Disney World Vacation designed just for you. Decide how many days you want to visit the theme parks. You can buy Walt Disney World Theme Park Tickets with choice of ticket length from 2 to 10 Theme Park days. A Base Ticket gives you admission to one Theme Park per day. And each day, you choose which one of the four Walt Disney World® Theme Parks you want to enjoy. Want to enjoy more than one Theme Park per day? Add the Park Hopper® Option. With so much to see and do , you’ll love the ability to come and go from Theme Park to Theme Park on the same day. Two amazing Disney Water Parks, one great way to add value to your Walt Disney World Ticket: the Water Park Fun & More Option. Hang ten or take five in Disney’s Typhoon Lagoon Water Park and enjoy downhill thrills and plenty of ways to cold chill in Disney’s Blizzard Beach Water Park. Sharpen your skills at Disney’s Oak Trail Golf Course. **** For tots, there’s a lot. For teens, thrills like you’ve never seen! ***Water Parks subject to seasonal or weather closures. Age restrictions may apply for access to certain facilities. ****Tee times required and subject to availability. Disney has three dining plans available exclusively to guests with a Disney resort hotel package. A Disney dining plan offers guests a convenient way to save money while dining at Disney restaurants. Choose from the Quick Service, Dining, and Deluxe Dining Plans. With a Disney resort hotel package, you can also add options like vacation insurance, airline tickets, ground transportation, and recreation options. You can even add a side trip to a Florida Beach Hotel. Experience The Magic for Less Travel’s free concierge services as we work with you to design your perfect Disney vacation. With Disney resort hotel packages, you can do Disney your way! Imagine if your vacation magical moments were captured for you and available for digital download. The Memory Maker product does just that, preserving those special moments for you, so you can relax and simply enjoy the fun of being with your family and friends in the most magical place on Earth. An unlimited array of the photos taken by Disney PhotoPass Photographers during your vacation, PLUS photos at select attractions and dining locations, will be captured. Forget about having to purchase each photo individually – with Memory Maker you get digital copies of them all to download! You can relive all your favorite memories and share them with family and friends.